This past weekend I was searching for a particular feature inside the Facebook app while on my cell phone. As I scrolled through some of the settings, I realized that a new feature had been added. Having worked on connectivity issues at the national level, and having seen firsthand the vast differences in opportunities that are available to the 5 million students that are unconnected while at home, this new feature offers me some hope. Over the past few years, districts have been working diligently to close the access gap to support students, particularly those most in need. According to the Pew Research Center, of the 5 million students that lose connectivity once they leave the school campus, our black and hispanic students also make up a disproportionate percentage. The statistics are clear. Fortunately, over the past decade, connectivity has become a priority in schools and communities across the country. Districts such as Lindsay Unified in California have worked with their local community and government officials to offer free access for families. In districts like Middletown, New Jersey, school leaders are reaching out to businesses, with an offer to partner to support out-of-school access for students in need. In places like Albemarle County, Virginia, school leaders are developing a 4G Network to support their entire community, every day of the year, by 2020. Across the country, librarians are supporting those in need by promoting the great work and connectivity often available at local libraries. In March of 2016, the FCC modernized the Lifeline Program, in an effort to support unconnected families. With research clearly supporting the fact that families that are connected obtain jobs months faster than unconnected families and simultaneously earn more money, many have made connectivity a priority. However, the balance of who is responsible to fund such ventures remains in the spotlight. Less than two weeks ago, the FCC, under new Chairman Pai, reversed course to now prevent telecom companies from providing federally subsidized service to poor Americans. This decision was a blow to those families who vitally need connectivity, and in particular, for those students who need a combination of digital skills, and access to out of school learning experiences, to be prepared for their road ahead. 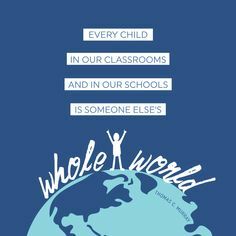 Fortunately, non-profits such as EveryoneOn and Future Ready Schools continue the mission so that all children, particularly those from traditionally underserved communities, can connect to a brighter future. Simply put, connectivity is a lifeline for progress. It is also leads to a large scale economic issue for our nation to wrestle with moving forward. When districts design their plans to support home access, and companies such as Facebook rise to the challenge, kids win. So can companies such as Facebook further support home access for students? Yes, I undoubtedly believe they can. 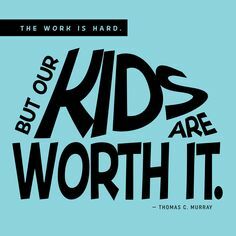 I also believe that as educators, it is our moral obligation to do all that we can to help kids in need.